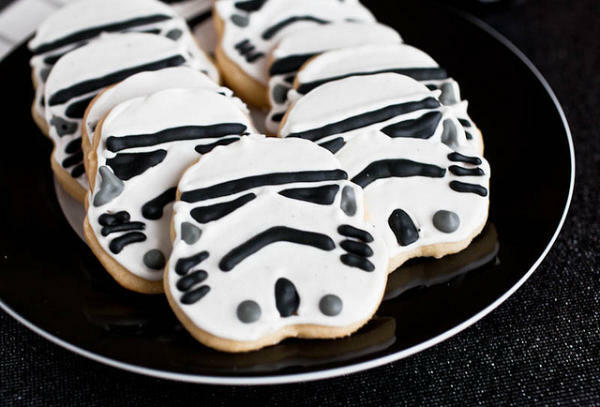 Easy Star Wars cookies that you can actually make in your own home! Plus, there are tutorials to show you how to make them. Doubly awesome!! Love Star Wars? We do! 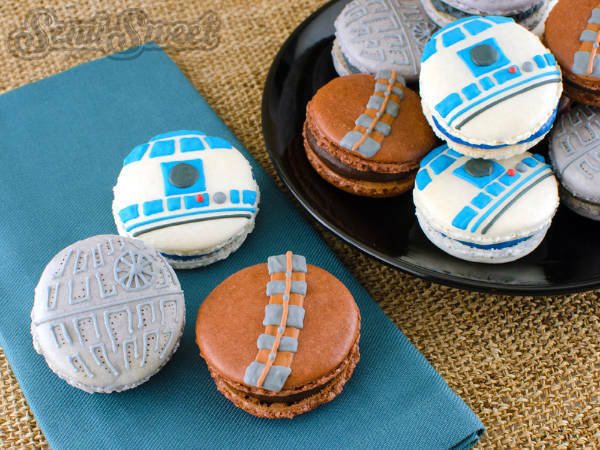 Since I have a sweet tooth I had to go take a look at what people were baking when it came to a sweet Star Wars themed treat that I could make myself. I decided on cookies as those are usually pretty quick to make and I found some great ones to try. 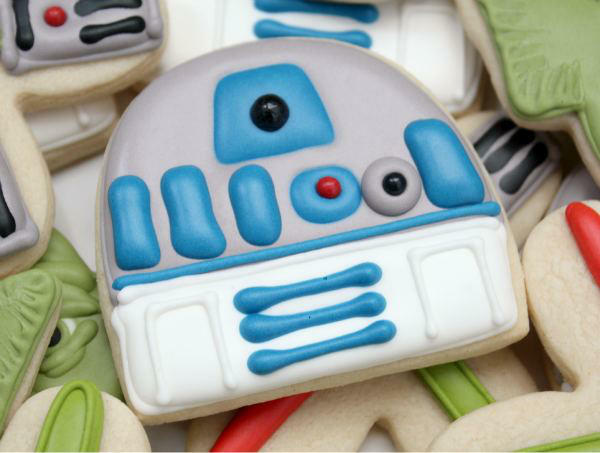 The first cookies I saw were really neat but it would have taken me all day to make them. I wanted something that looked great when it was finished but that was simple to do. I just wanted to make them on a regular old day because they are a fun food and I am a tad obsessed with those. Do not be put off if you are not sure how to do things because the cookies included below have recipes included and a lot of great pictures and tutorials. 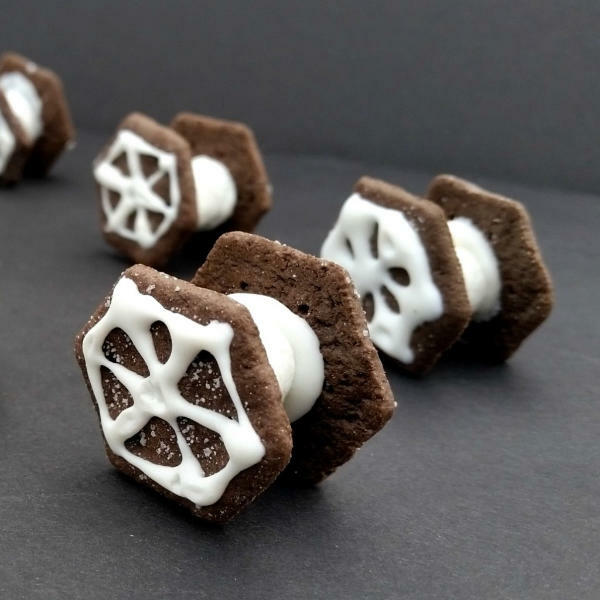 The Tie Fighter cookie even use store bought cookies! Can’t get much more basic than that! You can totally make these. I hope you like them as much as I do and have a lot of fun making them! 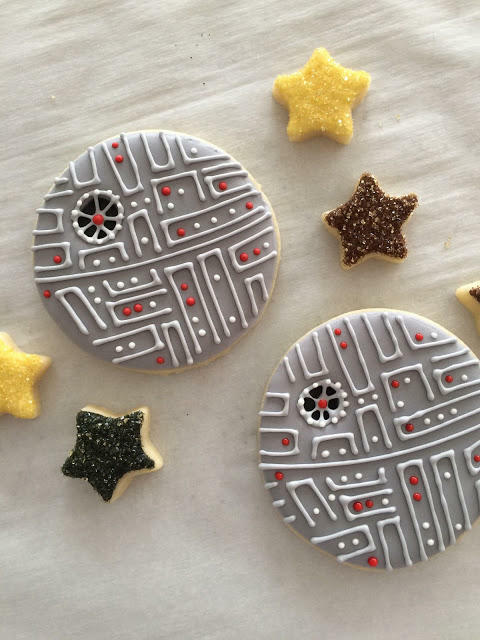 No matter when you plan to bake these easy Star Wars cookies (or Star Wars Biscuits if you are a friend from the UK,) you are going to make your Star Wars fans very, very happy when you do. I love these. Let me just get that out of the way right off the bat. I know they look a bit hard, but they aren’t. The only thing you need to know how to do is to flood a cookie with frosting. I thought that might be a bit tough but it really isn’t and she has a great tutorial with a lot of pictures to show you exactly what you need to do. Here is a short video showing you how to flood a cookie. You can watch if you are not sure how that is done. 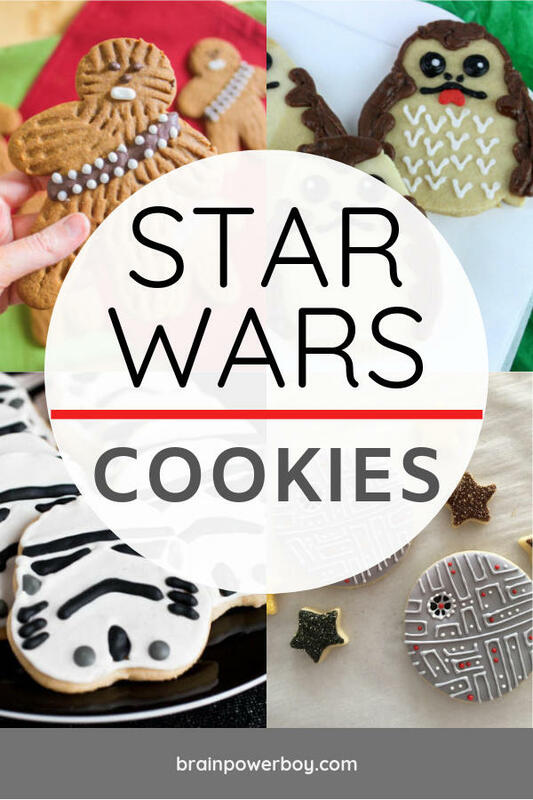 The first time I saw the term Wookiee cookie it was in this fun cookbook. 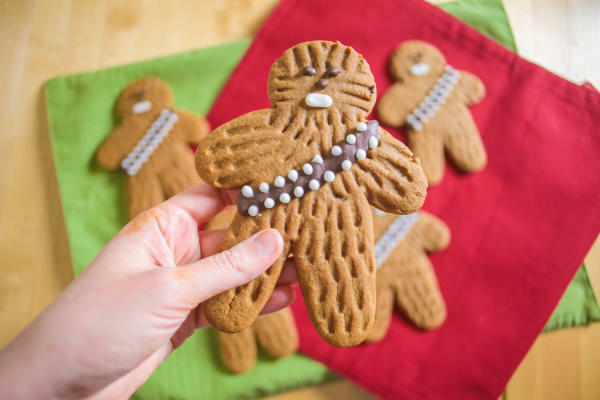 These Wookiee cookies are gingerbread (which I do not like – sorry gingerbread fans.) If you do like gingerbread, great, then just follow her directions. If not, you can make peanut butter cookies instead because the color is pretty close. Use creamy peanut butter if you do that so there are no chunks of peanuts showing. We don’t want chunky looking wookiees! The decorating is very straight-forward as you can see and yet they look super! Such a great idea! I think these 3-D cookies are tops. If you are looking for a fun idea that isn’t hard, try these. It seems that everyone loves the Porg from The Last Jedi. There are some fancy cookies out there featuring them but I couldn’t make them as they would take me all day! These, however, are just right. Cute, aren’t they? If you look closely you will see that the mouths are upside down hearts. So clever. One thing about these cookies is they do use a special cookie cutter. 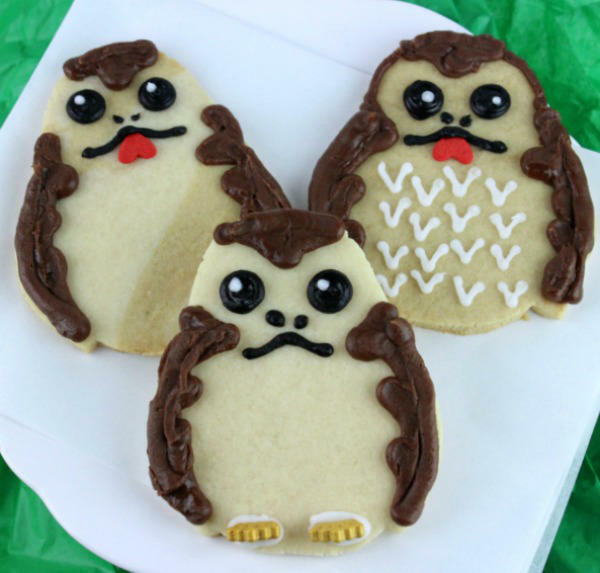 However, if you don’t have that you can totally just decorate a regular cookie in this style. I am thinking you can take a round cookie and just squish it in a bit at the bottom and on the sides to give it a little shape. Or, you could print out a storm trooper and cut around the template. 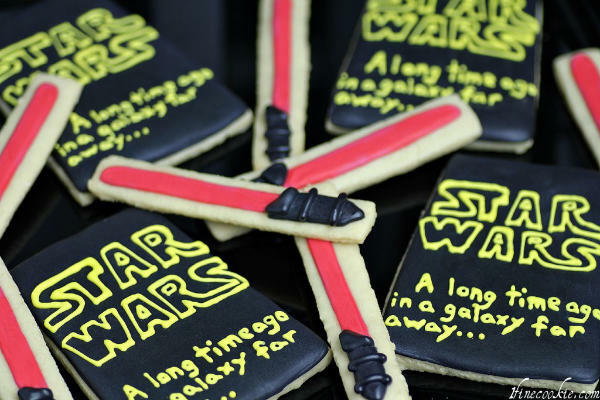 Honestly, if you can cut cookie dough into a rectangle you are more than 1/2 way to making these light saber cookies. The next effortless thing you need to be able to do is add few stripes of frosting. This is likely the easiest cookie on our list. 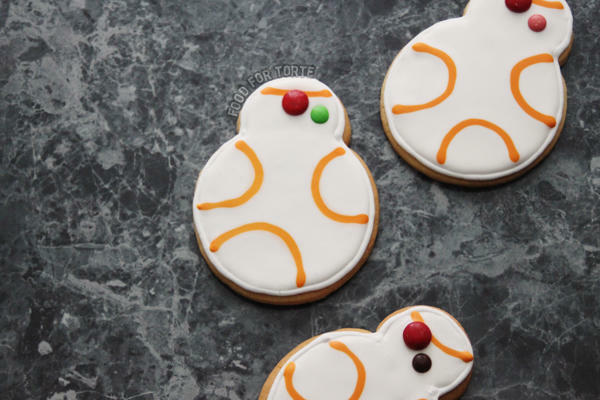 BB-8 is a wonderful cookie to try and I really like how she made these. All you need is circle cookie cutters which is nice indeed as everyone likely has those. If you don’t you can find a glass or jar and just use that instead. These are little bit harder as the piping is more detailed but at the same time, you can decide just how much detail to add. This is the set of tips I have, but I wish I had gotten these because there is a much bigger variety of tips. Oh well, I’ll stick with mine for now. If I get really into cookie decorating I may spring for the others. Ok, yes, these are macarons, and macarons can be tricky to make. But, stay with me here, I didn’t include these because of that. I included them because of the totally cool way you can take a single circle cookie cutter and make these fabulous looking cookies. 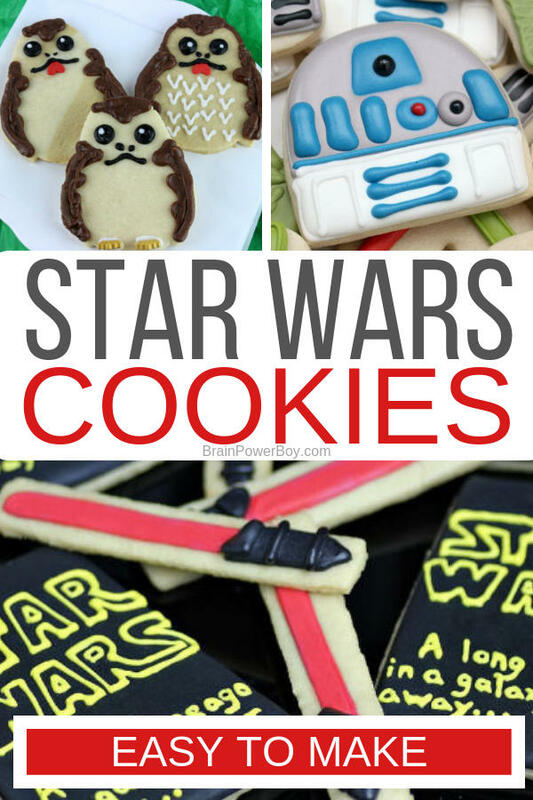 I hope you enjoyed this collection of easy Star Wars cookies! It was a bit hard to find ones that I could actually make and that I liked enough to include here. Remember, they don’t have to be perfect either. Mine usually are not. Ha! But they are fun to make and there are never any cookies left on the plate so that tells me they were a hit. 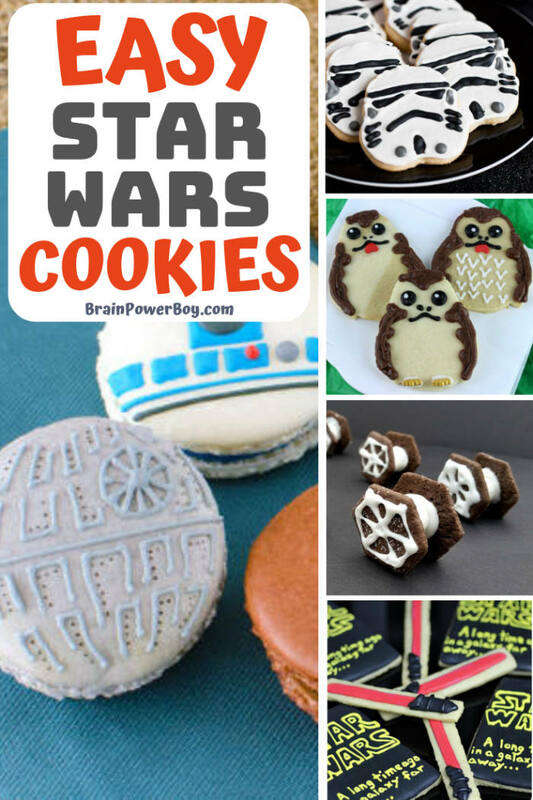 Star Wars Gifts Under $10!